I had my 18 year old read and check these books out for me as I was just getting too far behind. He loves this style of book, and though a bit young for him, he really enjoyed it. 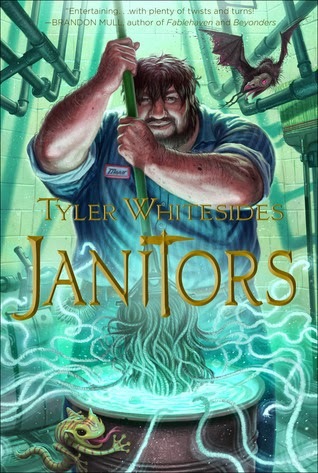 What a unique character.. a Janitor. I personally thought that was way cool, and so did my son. He really enjoyed this series and thought it would be good for middle school age kids who enjoy reading. There are a lot of pages, and if your child isn't a 'reader', that may scare them off. 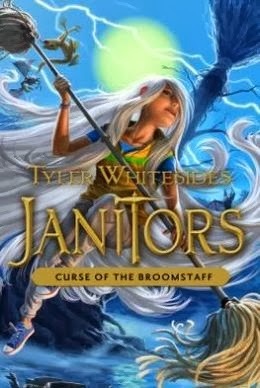 These are fantasy style books, great for keeping the interest of middle schoolers. There was a lot of magic and wizardry in them, so be aware if that is something your family doesn't read. 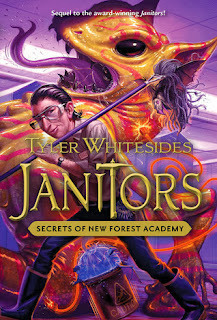 Tyler Whitesides worked as a janitor at an elementary school to put himself through college. He graduated with a degree in music. In addition to writing novels, Tyler is an avid composer and arranger of instrumental music. He is married to his lovely wife, Connie, who teaches third grade.